Do you have a grammar sin? You know, that one irritating grammar rule, you consistently get wrong. Well, I do. I’m a comma whore. I tend to place commas the way I speak and not according to accepted grammar rules. I first wrote about this issue in 2012 and since that time believed I’d conquered that grammar demon (for the most part). Unfortunately, I’m sad to report, she’s reared her ugly head again and in the most humiliating way. I’m in the process of publishing a collection of short stories and when I received feedback from my editor, I almost fainted (not really). The comma whore had dance all through those stories as if designing a roadmap. Needless to say, I had revisions to do. In the spirit of helping others who suffer with me, here are some helpful resources. Beyond that, it might take counseling. 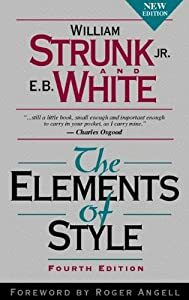 Strunk & White’s, The Elements of Style is the number one grammar book recommended for writers everywhere. The Kindle edition available on Amazon for free. Want something more? Check out the power point presentations from Guide to Grammar and Writing. Here you can find everything you need to bone up on your grammar. 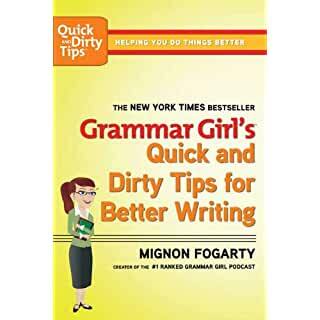 I had the pleasure of winning a copy of the book, Grammar Girls Quick & Dirty Tricks For Better Writing, from 101Word.org. Thanks, Shannon and I encourage all of you to check out the stories shared at 101 Words. And finally, don’t forget about the software editing tools that are available. About: Corrects over 250 types of grammatical mistakes, catches contextual spelling errors, poor vocabulary usage, and enhances clarity and meaning. An automated proofreader and grammar coach. Can be downloaded as an office add-in to your WordPerfect. Now fully compatible with Mac computers. Offers a browser extension for Safari, Chrome, and Firefox browsers. Cost/Membership: $29.95/month; $59.99/quarter, and $139.99/annual. About: A copy editor that helps refine your writing. A copy and paste Beta program, it is word limited. What it Does: Identifies common mistakes, such as adverbs, passive voice, weak words, ‘said’ replacements, ending with prepositions and often-misplaced words. Writer’s Diet: Is your writing flabby or lean? 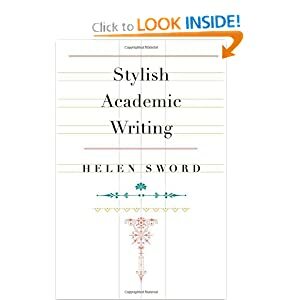 About: Designed by Helen Sword, this program evaluates writing samples of 100-1000 words. What it Does: Looks at each category: verbs, nouns, adjectives/ adverbs, prepositions, and waste words (is, that, this, there) and scores the work from lean – to heart attack. Cost/Membership: A great, free tool! So, there you have it. This comma whore is headed to school.What about you? Do you have a grammar sin? I didn’t even know there were grammar rules for commas! I also use them to reflect how I speak……. or it’s even more accurate to say I use them where I think people should pause. I’m terrible with commas. I too, write like I speak. Not always correct. Send me your email and I’ll send you a copy of some comma tips. Ok, truth… you only clicked on this article because of the title? Not why I did, I happen to be a comma connoisseur (also an advocate for the Oxford comma). No, but seriously, she has some great advice and it’s well worth the read if you don’t use some of the tools she has listed (I actually use Grammarly, and it’s great). Thanks so much for the reblog. I’m glad you liked it well enough to share. Funny, how one word will snag an audience. LOL. Thanks for passing it on and commenting. No problem at all, actually it’s my pleasure. It’s a well written article with some good info. Needs to be shared. I love Strunk and White. I think the internet has played havoc with grammar, and Grammarly brings out my rebellious nature – seriously it is always arguing with me about where to put the comma. OK so sometimes it makes great corrections, but it has a bad habit of covering over whatever I want to click! I know! There are times I think everything is perfect. A 100 from gram marly only to have my editor get out the red pen! I have Strunk and White – another great resource. Thank you so much for stopping by the Cow Pasture. Also, consider “Eats, Shoots & Leaves” by Lynne Truss to add in some humor. I forgot about that one. Thanks for reminding me and others. As always thanks for stopping by the Cow Pasture. Glad to know you have a grammar weakness. LOL You know mine. The Tazmanian Tense Devil. Yes, a good editor is worth their weight in gold. Jeez, I was like what? And Grammarly? We need to talk.